Here you find our company’s general information for suppliers, sellers, seller representatives, agents and brokers. 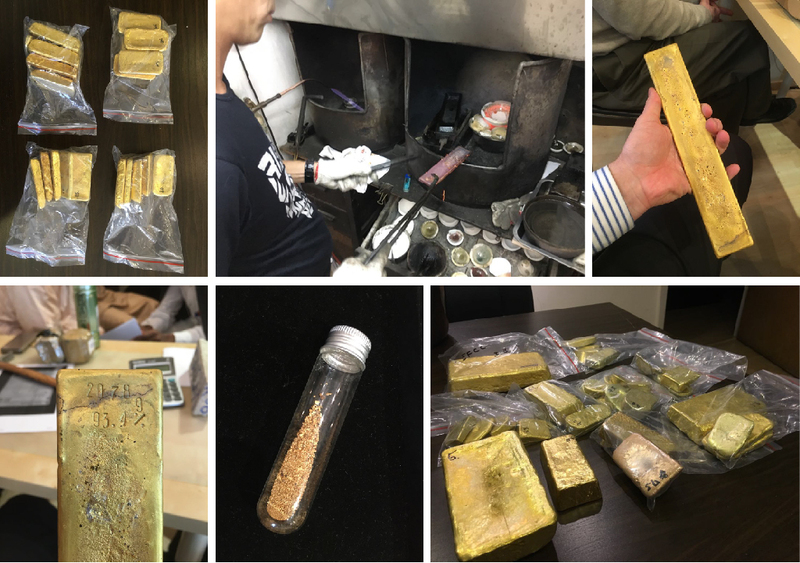 Yes, our company processes, buys & sells gold in all forms (dust, sponge, nuggets, bars) in all purities from all over the world. We have been in business for over 10 years with our office at same central location on Hong Kong island for 9 years. Our office is open Mon-Fri 10am-6pm (except public holidays) plus by appointment. Suppliers/sellers/representatives/couriers come/lift/ship to our office in Hong Kong or deposit into our Loomis, Brinks or Malca-Amit account at any of their office locations worldwide. If needed, we offer airport pickup and help organize hotel, catering and entertainment here in Hong Kong. We also provide support with visa application for Hong Kong by issuing an invitation letter. WE SMELT, WE TEST, WE PAY. The smaller the volume, the quicker we can process your material. For high volume execution time depends on value logistics transport and refining capacity. Medium/Regular volume (10-25kg): one morning or one afternoon. High volume (25-40kg): same business day depending on time of arrival. We usually pay by international bank wire transfer in preferred currency (any of top 10 currencies). Part payment in cash is also no problem. Full payment in cash will require additional time and incur exchange costs. Suppliers/sellers/representatives/couriers who come to town usually wait until paid in full or until they receive full payment confirmation from their company. All is very transparent and we provide full paperwork. This means proper receipt, invoice, purchase confirmation incl. purity table. But please also be informed of the sad fact that we receive about 10-20 emails and calls from potential sellers every day, every week, every month. Unfortunately 99% of these are conducted by scammers and broker jokers who waste our time and still need to find a way to lead an honest life. We can not possibly attend and remember all these contacts if they never arrive in person. We are not interested to travel to your country and inspect material which might or might never arrive. We have been to over 70 countries and know the business well. We do not trust botched documents, dubious certificates or tiny sample test results. We have revised about 20,000 SPAs, “FCOs”, “SCOs” and are aware of most red flags. We do not entertain to any requests for upfront payments for taxes, shipping, storage, insurance, tickets, LC, BG, PB ... or alike. Sellers who get themselves organized and visit us frequently never ask for these and warn of such upfront scams. If your gold tests real your costs are refunded with our very competitive purchase price. If you made the deal and got yourself organized you deserve the majority of the profit. We are not interested in fantasy pricing. We are happy with our processing fees. If you are a genuine seller or represent a genuine seller, please be invited to do your due diligence on our company and our HR and to visit our office or call us.